When Is It Time to Change to a Different Homeschool Course? I want something different in this subject. 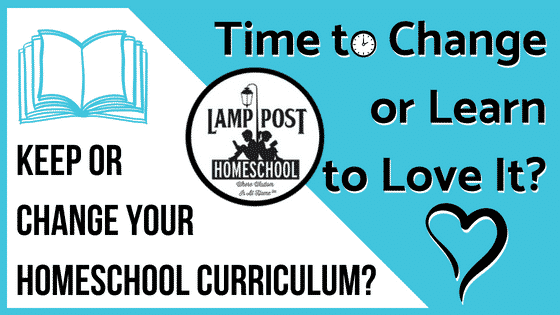 Here are ten reasons it’s time to change your homeschool curriculum or learn to love it. 1. Do you and your student find any reason to avoid that subject? Before you purchased that product, did you and your student like doing that subject? 2. 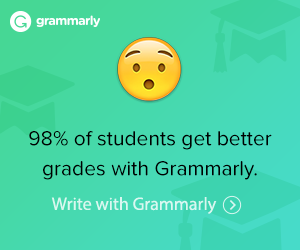 Does your student dislike it? Is the product is working–the student is learning/progressing, then he might dislike the subject. A different product probably won’t solve this problem. 4. The layout hurts our brains. You’ve picked up books before that just make your head hurt looking at the layout. Let your child look at the books and talk about the choices before you buy. If too much color or too many pictures distracts, #TimeToChange to black and white print with less images. 5. My student liked the subject until we started using this product. We had one father call to ask for an English program that wouldn’t bludgeon his child. If a particular product is sucking the joy out of learning, it is #TimeToChange! Remember, it may be a great product for a another child with a different learning style. 6. It’s hard for me to follow the Teacher’s Guide, I need more help, or it’s too complicated. Consider if you need or don’t need the teacher guide for a particular subject. 7. It’s hard for me to grade the work. Ask your children check their math answers with a calculator. School teachers have children check each other’s papers while they call out the answers. Perhaps you can #LearnToLoveIt with a little help from your child. 8. The material seems dry and boring. You can always supplement with more interesting books or DVDs from the library. 9. There are too many details and too many activities. It’s great to have choices. Think back to your school days. Did you ever do every exercise or suggested project in a textbook? Choose the ones you like, skip material that you covered with a different course. Just because it is there doesn’t mean you have to do it. Do what is best for your child. This is probably a keeper: #LearnToLoveIt. 10. My friend, who’s a veteran homeschooler, told me about something better. Check it out and do your research. It’s great to have friends who give you homeschool support and encouragement! Keep in mind that each child is unique with different learning styles and talents. If it is better, decide where you are in the school year—is it worth making a change now or wait until next year? Hope this helps you with your decision to change or keep your homeschool curriculum.